Nanuku is the quintessential South Pacific paradise and the ideal setting for creating events of a lifetime. Exchange vows as the sun sets on our sandy beach, celebrate a special anniversary, memorable honeymoon or seriously romantic escape. Photo copyright Nanuku Resort and Spa. Video copyright Nanuku Resort and Spa. Nanuku's Vunikau (Treehouse) Residence overlooks the clear, warm waters of a coral fringed lagoon, while our five Beachfront Residences are steps from the soft white sand beach. Luxurious and spacious with a mix of traditional Fijian design and relaxed contemporary style, Nanuku's villas allow guests to fall to sleep to the sound of waves lapping the shore and wake to a chorus of birds at sunrise. All suites and residences offer floor-to-ceiling windows and bi-fold doors to catch the balmy breeze, ensuite rooms with spa bath, media rooms, expansive decks, outdoor living rooms, private landscaped gardens, daybeds, and ocean views. Nanuku can be booked exclusively as your own private resort. Up to 100 guests can be accommodated when the resort is booked on an exclusive basis – including private use of the Club House and its facilities – making it a unique proposition for private weddings, events and special occasions. Some family members have special needs. We are able to offer a limited level of skilled support to ensure all family members can travel together and enjoy their holiday. Please ask about this unique service. Let us pack you a picnic. We can fill your picnic hamper with everything from freshly baked bread, crisp seasonal salad, ceviche, roast chicken, Scotch eggs, pate or a hearty ploughman's lunch. Why not purchase a bottle of wine from our cellar to make your picnic extra special? Tropical fruits, classic chocolate brownie and lime tart are but some of the temptations on offer for dessert. Our barbecue menu includes spicy ribs, marinated drumsticks, grilled fish, fillet steak, Asian style salad or Nanuku's special potato and herb salad. Our executive chef can create magnificent degustation menus or specially themed events. Our event planner will work with you to create a magical and memorable event. 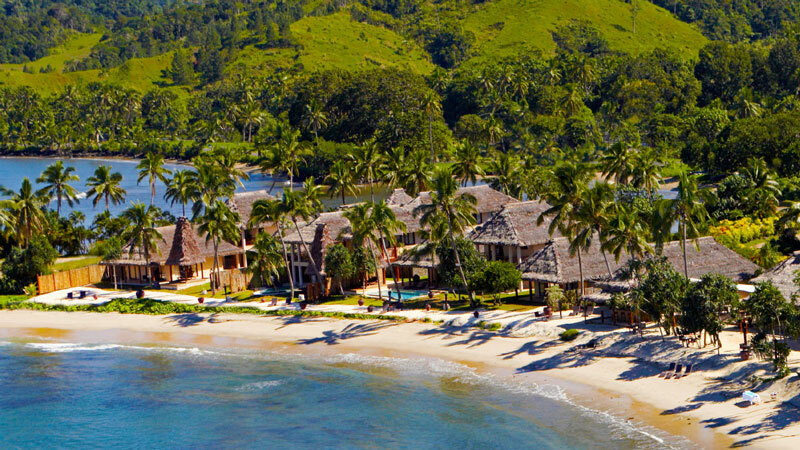 Conveniently located on Viti Levu's southern coast, means group travel to Nanuku is seamless. Nanuku is a wonderful South Pacific destination to celebrate your special occasion. The resort offers excellent facilities, including a choice of beautiful outdoor locations and dedicated event spaces, which can be tailored to your occasion. Nanuku caters for everything from small intimate gatherings up to larger parties of up to 100 guests. Enjoy a grazing banquet, pop-up market stalls or a classic cocktail party. At Lomana Spa we offer a journey of spa treatments using fresh local ingredients and ancient methods of massage passed down through generations. Our treatments are infused with the magic and essence of Fiji, leaving you with a sense of warmth and well being. Our highly skilled spa therapists will help guide your choice of treatments from our special spa menu. Treatments include a traditional Fijian Bobo massage; heavenly hair and scalp massages and divine facials that will leave your skin glowing. Guests can add a 'pre-spa soak' in a hot tub scattered with frangipanis, ensuring muscles are relaxed and you receive the full benefit of your massage. Finish your spa treatment with a special herbal tea in the spa lounge before returning to your villa for a snooze.